Want to win me over? No…I mean it. For real. If you want to win me over…completely…heart, body, mind, soul, and spirit…then there is one key ingredient that you need to wave before me. Go ahead. Scoff. Laugh. Mock me. The fact of the matter is, growing up, my mom used to make the most fantastic snickerdoodle cookies. They were sweet with that little kick of spice from the cinnamon. To me, the perfectly balanced cookie. Sugar and spice…and everything nice. My mom made the best snickerdoodles. The absolute best. 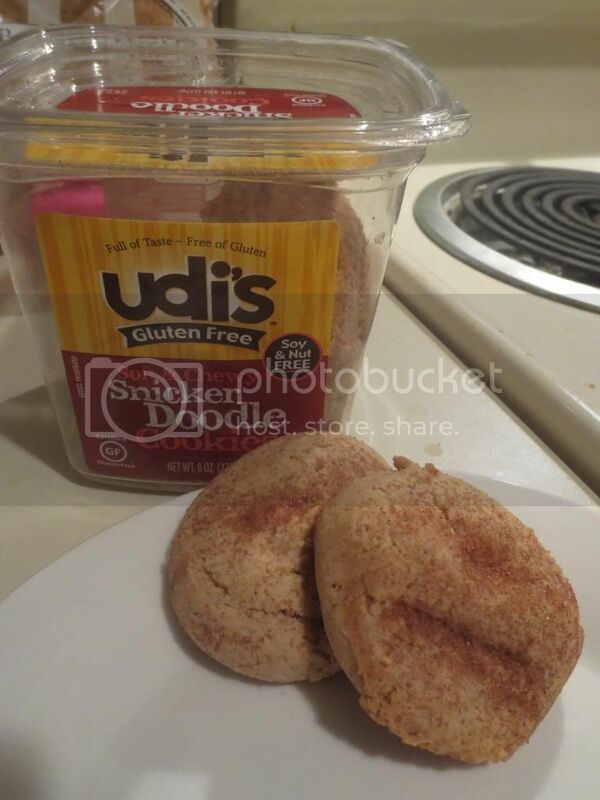 Back in November 2011, I picked up a container of Udi’s Gluten-Free Snickerdoodle Cookies. For a long while now, I had been reading about the epicness of these little bite-size cookies. I was intrigued. Surely they couldn’t measure up to my mom’s. Nothing is as good as mom’s cookies, right? Well…they may not have been my mom’s cookies…but they were close. They came really close. So, why am I revisiting these cookies? Well, Udi’s sent me a delicious box of some goodies awhile back. Some old products; some new products. I was ecstatic to be given the opportunity to not just revisit some of the classic products, but also get a taste of what Udi’s is bringing to the market that is new to their already expanding product line. And what a line-up it is too! Of the classic products, I was delighted to see a container of the Gluten-Free Snickerdoodle Cookies among the other products. I might have hugged it as I lifted it out of the box. There were no witnesses, so no one can know for sure. Were they as good as I thought they were back in 2011? After all, I was quite new to the gluten-free world back then. And after being deprived of many things, sometimes things just taste…amazing…due to not being able to have them. Well, tonight I was on a mission to find out. I retrieved the container of Udi’s Gluten-Free Snickerdoodle Cookies from the pantry after eating dinner. I allow myself a small dessert every night, because we all need to treat ourselves. And I was feeling cookies. Snickerdoodles. How I resisted ripping that container open before now I will never know. Anyway…two cookies. That’s the serving size. These cookies are three-bite cookies. Meaning…in three bites, they are gone. They aren’t big, but given that you get to devour two of them, it’s like eating a full-size cookie. I settled in, watching the second series of BBC’s “Sherlock” with dinner and finishing it up with dessert (appropriate, yes?). I can attest that my love for Udi’s Gluten-Free Snickerdoodle Cookies remains high and perched atop a throne of gluten-free glory. These are just as good as I remembered them. Sweet with that kick of cinnamon, lending just the right amount of spice. Oh, and chewy. So soft. Moist. They are so easy to eat. And snickerdoodles are supposed to be a soft cookie. These practically melt in your mouth. They just have that right hit of sweetness from the cinnamon and sugar combination, mingled with the soft cookie texture. It makes for the perfect way to round-off any night. A soft-baked chewy delight of cookie monster glory. 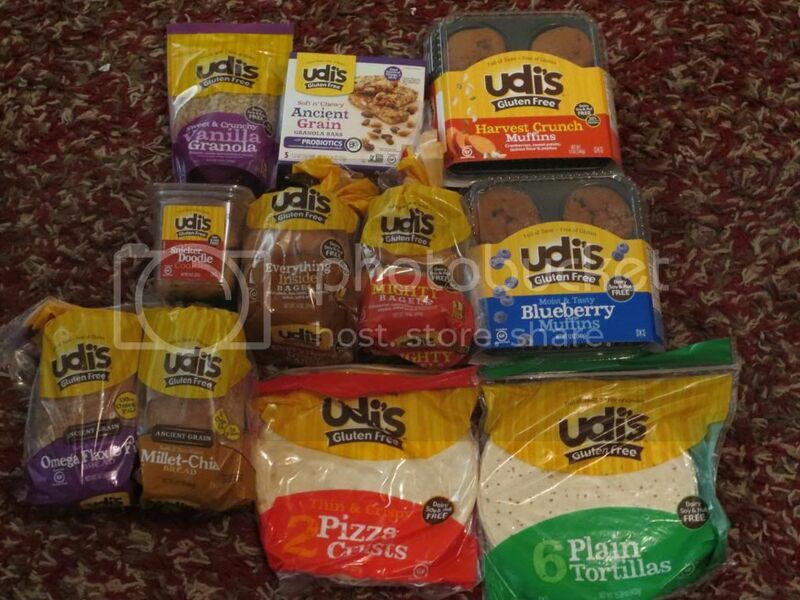 Udi’s cookies are made from evaporated cane juice, Udi’s blend of flour (a mix of tapioca, potato starch and brown rice flour) butter, eggs, sugar, vanilla, cinnamon, salt, xanthan gum, non-gmo vegetable oil, and baking soda. Nothing unfamiliar or chemical sounding there…which makes me a happy girl. I love a product that I recognize every single ingredient that goes into it. Nutritionally speaking…these cookies are a dessert and a treat. So, don’t be too shocked at these stats. As I stated, the serving size is two cookies. From these two cookies, you will be taking in 200 calories and 8 grams of fat. Each serving only contains 1 gram of fiber and 1 gram of protein, so these will do little to fill you up and keep you feeling satisfied. Save for the fact that they really do satisfy that sweet tooth. And they should…as these cookies contain 16 grams of sugar per serving. What it boils down to…is everything in moderation. Unfortunately, many gluten-free foods get laden down with more calories and fat and these cookies seem to fall into that category. But, treating them as what they are…a treat…it’s a nice way to round off a day. And the fact that they are super-yummy does help ease the blow of the calorie and fat content…somewhat. Focus on the fact that you are taking six delicious bites of amazing soft and chewy gluten-free snickerdoodle cookies. Then go for a walk. You won’t feel as guilty. Or…indulge. They are, after all, the most amazing gluten-free snickerdoodles I have treated myself to. Udi’s…you continue to rock my cookie-loving world. This entry was posted in Baked Goods, Cookies, Dessert, Food, Gluten-Free, Products, Review, Snacks, Sweet Stuff, Vegetarian by The Celiathlete. Bookmark the permalink.